Chevrolet has quickly moved to 'enhance' the safety of the new Volt following an investigation by the US National Highway Traffic Safety Administration (NHTSA). The improvements come after a test that reproduces coolant leak after a full-scale vehicle crash. The test resulted in an electrical fire three weeks later, so Chevrolet has announced that it will enhance the vehicle structure and battery coolant system in the Volt. However, the brand is keen to point out that the new Volt is a 'Top Safety Pick' by the US Insurance Institute for Highway Safety and has earned other safety awards. The modifications include strengthening an existing part of the Volt's structure to further protect the battery pack in a severe side collision along with adding a sensor in the reservoir of the battery coolant system. Chevrolet has also fitted a tamper resistant bracket to the top of the battery coolant reservoir to prevent possible coolant overfill. Chevrolet has conducted four successful crash tests of the Volt with the structural enhancements, with no intrusion into the battery pack and no coolant leakage. "There are no changes to the Volt battery pack or cell chemistry as a result of these actions," said a Chevrolet spokesperson. 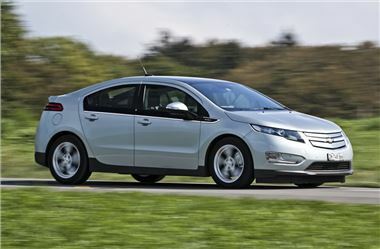 "We have tested the Volt’s battery system for more than 285,000 hours, or 25 years, of operation. We’re as confident as ever that the cell design is among the safest on the market." Volt customers will be individually notified when the modifications are available for their vehicle. The enhancements are being incorporated into the Volt manufacturing process as production resumes this month. The modifications and enhancements will be applied to all Volts, including vehicles sold in Europe.